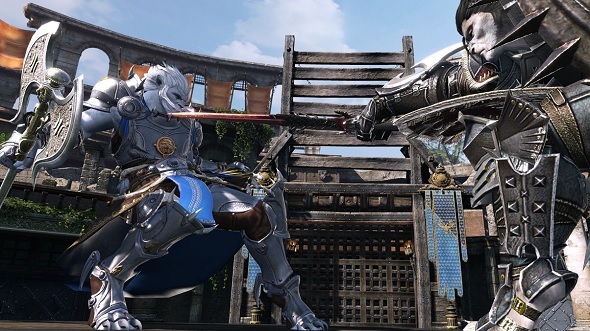 Bless Online finally got a Western release when it launched on Steam Early Access last week. 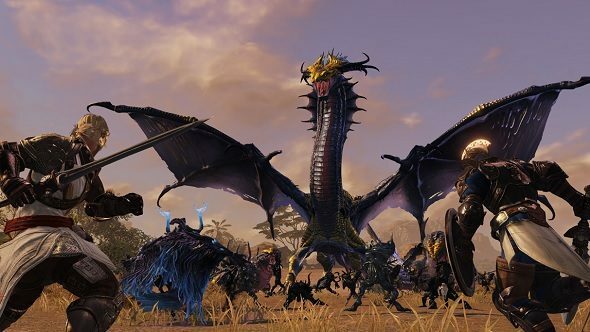 Along with the questing and dungeons we’ve come to expect from any MMO, Bless promises a dazzling and expansive world inhabited by various races, including the cat-like Lupus and the tiny Mascu. All servers are PvP-enabled so you can expect large-scale clashes between two opposing factions via battlegrounds as well as open-world PvP. Bless was first announced back in 2011 but only managed to muster a lukewarm reception during its time in the East. Since then, the game has had a major overhaul, so the question of whether Bless will fare any better in the rest of the world looms large. 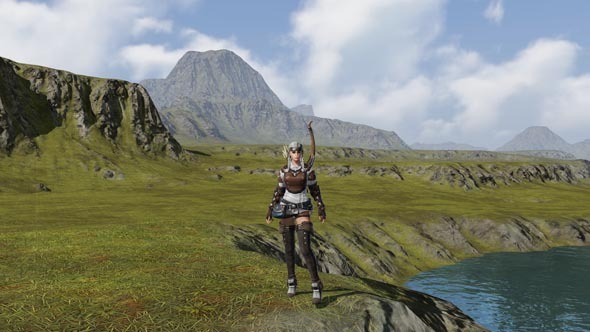 Bless could make it into our list of the best MMOs on PC. It didn’t get off to a brilliant start. 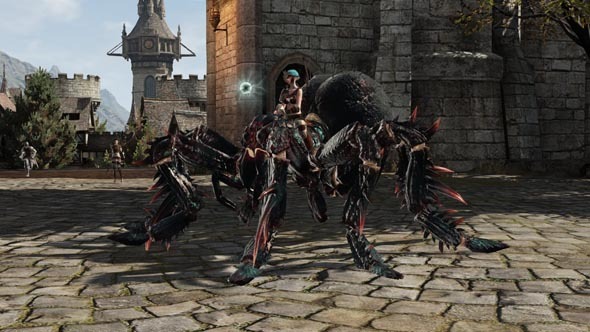 As Bless Online hit Steam it immediately suffered lag, server crashes, and extensive login queues. But, less than a week later, Neowiz seems to be getting a handle on these problems. The speed and effectiveness of the developer’s response to these almost inevitable MMO launch issues is a good sign for the game’s future. It’s too early to offer a comprehensive opinion on whether Bless will hold its own in the over-saturated MMO market. However, we’ve picked out a few of the game’s more interesting features, which should help you decide whether you want to give it a go. Combat in Bless was completely overhauled for its Western release and it takes some getting used to. 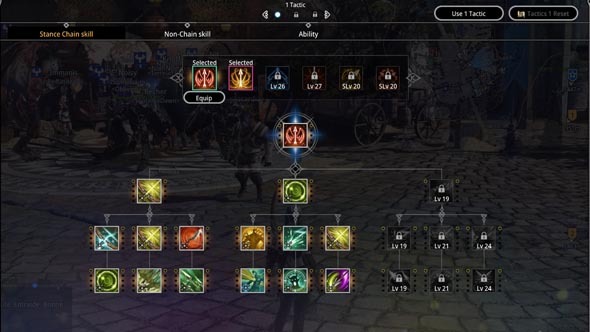 It uses combo chain-skills, similar to those found in Aion; certain skills need to be chained together in order to use other abilities. The higher the combo chain, the more damage your abilities will do. Stances also play a large part, giving you a passive buff that remains while that stance is active, as well as a ‘conversion effect’ that lasts a few seconds after you’ve switched. Each stance also allows you to use different skills. While the default key configuration feels a little strange, you are able to change your keybinds to your liking. You will probably want to do that as soon as you get into the game proper. The action-combat option is currently only available to the berserker. All the other classes use tab-targeting, but Neowiz says the action-combat option will be added to them in the future. Not an E3 goes by without a developer showing off an open world and saying, “You see that mountain in the distance? You can go there.” Yet, when it comes to launch, tech restrictions mean the world is full of bottlenecks to funnel your travel. Not so in Bless. You can discover its fantasy world with no barriers or invisible walls to block your path – at least, you can in the opening areas that I’ve explored so far. Obviously, dungeons and some quests are instanced, but the world itself is not. With no loading screens you’re free to go wherever you wish. You can make weird friends all over the place, start accepting bizarre quests, or just chill out on some distant meadow. It’s just like the first time your parents let you out of their sight, free to wander beyond the row of houses at the end of your street. There’s no fall damage in Bless either, which helps when you’re toeing along treacherous cliff edges or climbing steep mountains to grab that perfect screenshot. There’s much to see and share, after all. Bless isn’t the first MMO that allows you to tame creatures and keep them as either mounts or pets. But the sheer variety of creatures you can tame, even at low level, is impressive. If you’re an animal lover then you’re in for a right treat. Whether you want a cat keeping you company on your travels while you ride along on a huge woolly mammoth, or a wasp is more your speed, Bless has got something to accommodate your taste. Even if you want to ride a giant, hairy spider – each to their own. At higher levels, you will be able to upgrade both mounts and pets, unlocking useful (but random) abilities such as auto-looting pets. You’ll gain one ability with each upgrade level, with a maximum of three abilities at legendary quality. And, yes, there are flying mounts too. While game soundtracks have come a long way from the 8-bit, arcade sounds you may (or may not) have grown up with, they are often overlooked – or muted altogether – when you’re doing quests, taming pets, or running through dungeons. But don’t switch to your usual Spotify playlist this time as the Bless OST is honey to the ears. That’s not only because it sounds vaguely like a Game of Thrones B-side – which really suits the game’s medieval aesthetic, by the way – but because Hans Zimmer and Lorne Balfe worked on it. Whether you spend hours on character creation, or settle for one of the presets, having a host of options available for customising your avatar is important to many of us. In MMOs especially, you’ll probably be spending hundreds of hours running around and meeting people as this character, so it’s important that you’re happy with how they look. Bless offers a wide range of customisation options, including being able to manually move sections of the body or face with your mouse, as well as the more traditional slider options. Most importantly, though, your character will look exactly like it did when you created it, unlike some games where you spend hours creating a masterpiece, only to load them into the game and discover that you may as well have just hit the ‘randomise’ button. While it’s not quite as in depth as Black Desert Online’s character customisation, Bless isn’t far behind in terms of what’s available – impressive when you consider that this is a seven-year-old game. While not unique to Bless, its auto-run feature deserves some recognition, not least because clicking a small button next to a quest on your tracker allows your character to run to the next quest location while you go and make yourself that much-needed cup of coffee.